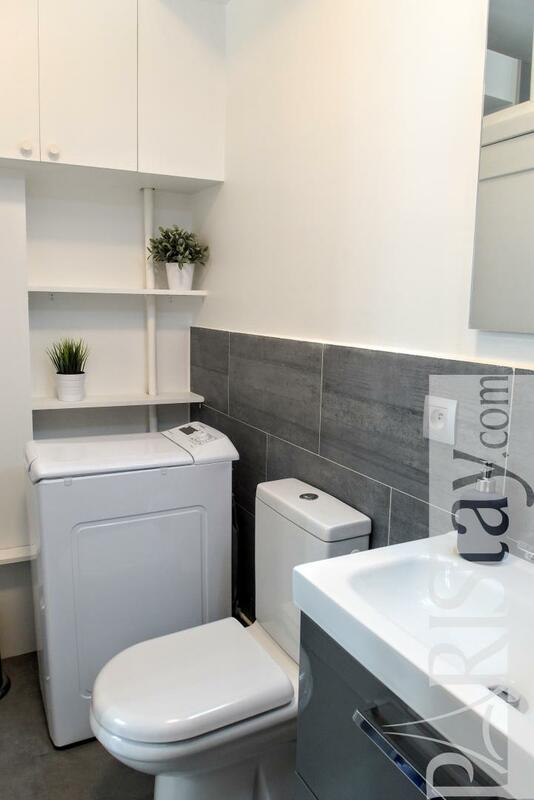 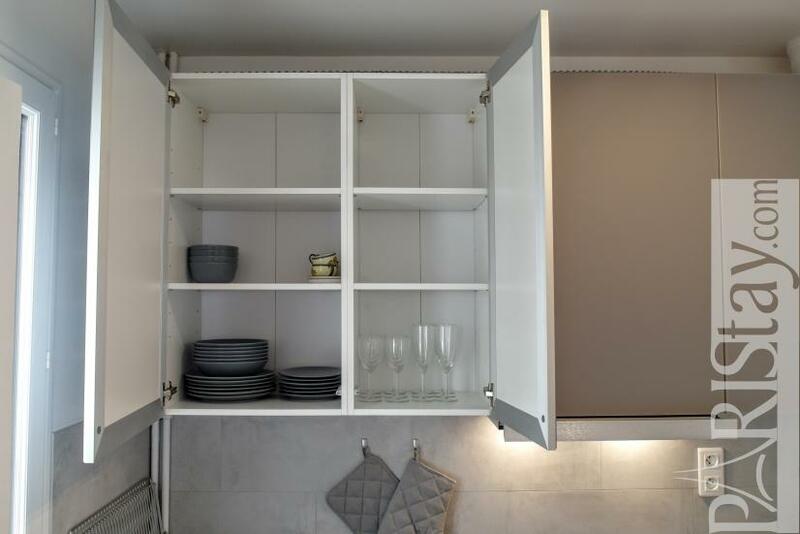 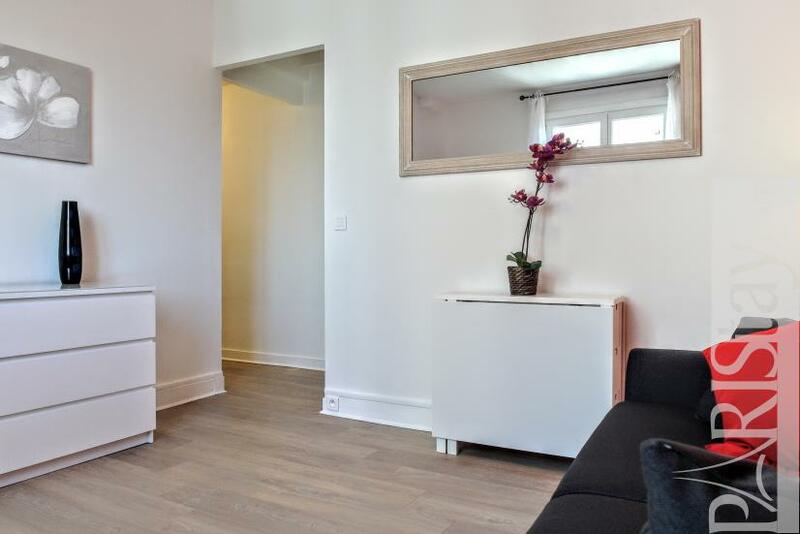 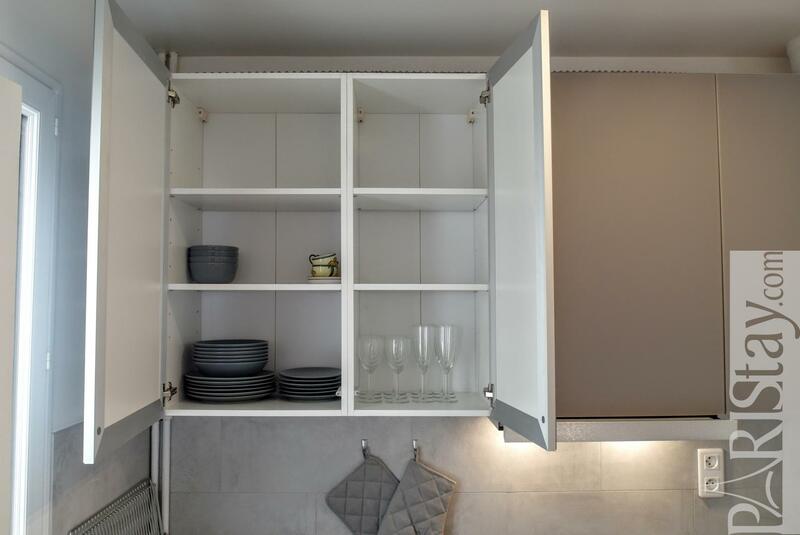 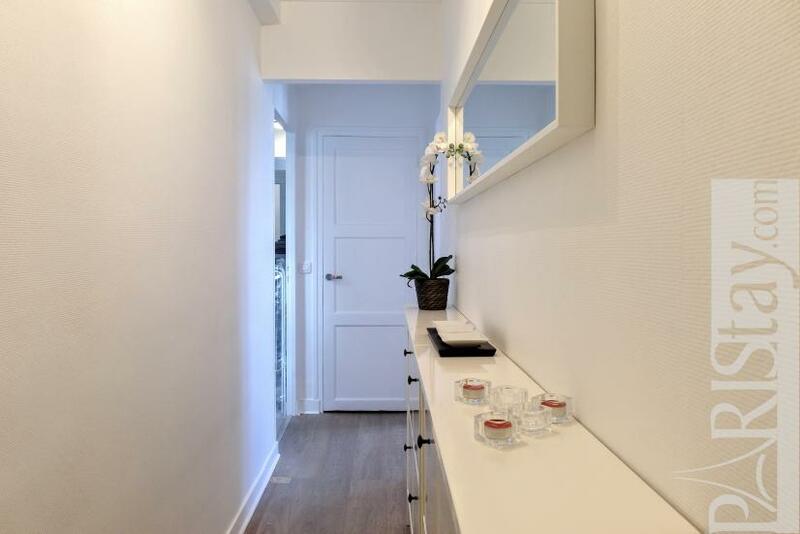 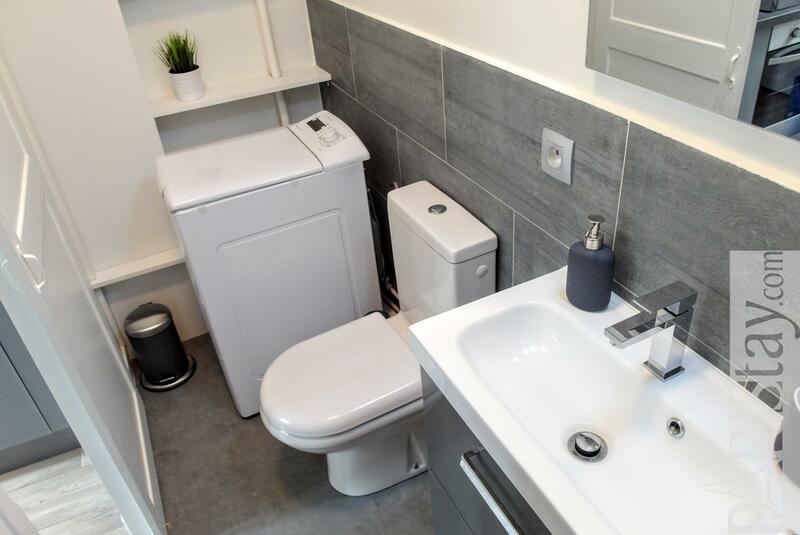 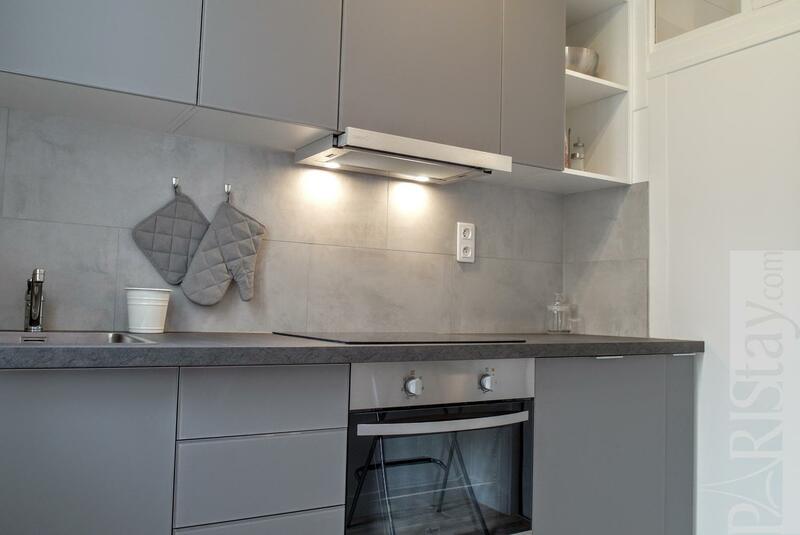 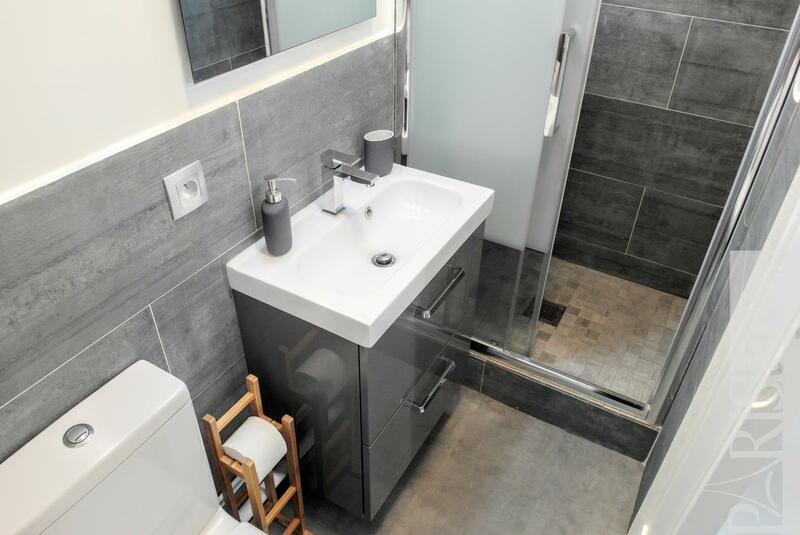 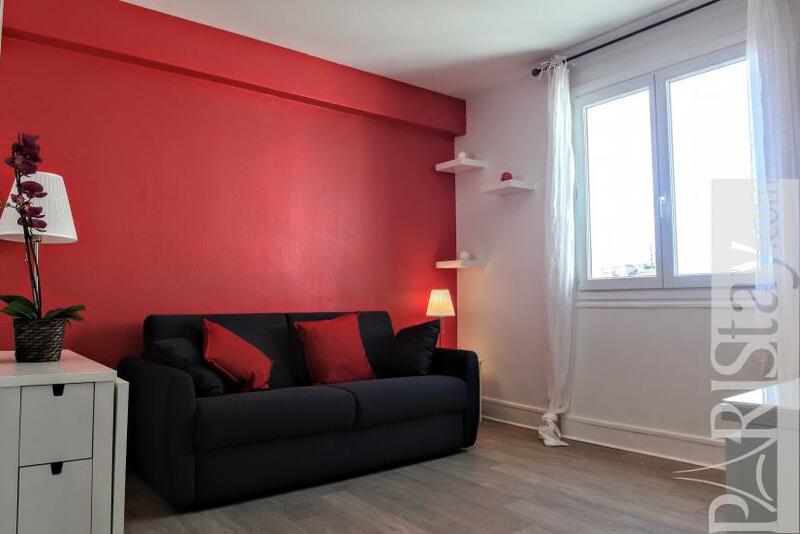 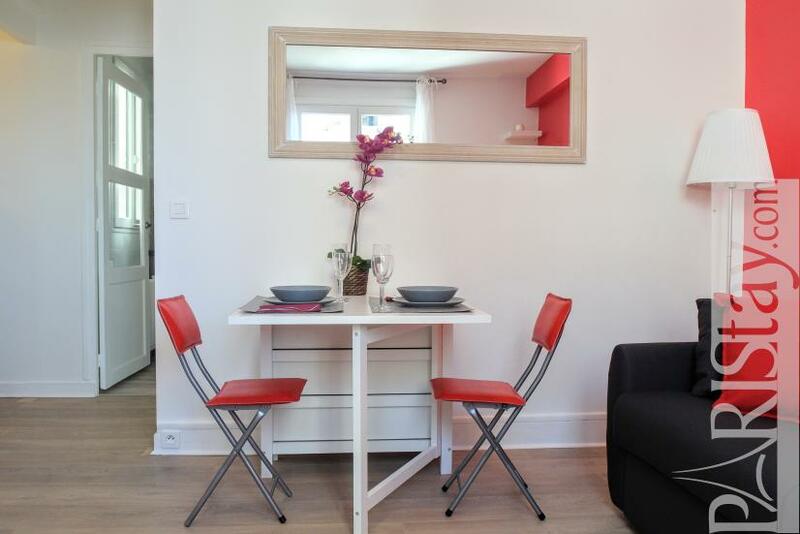 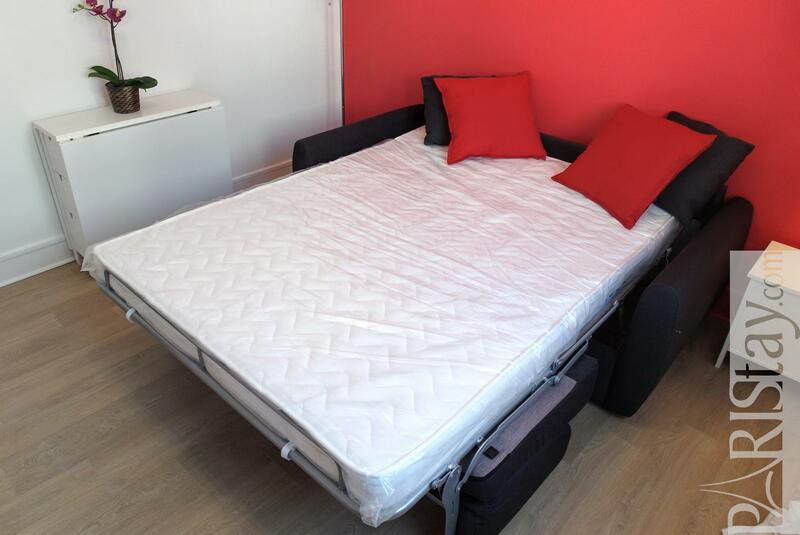 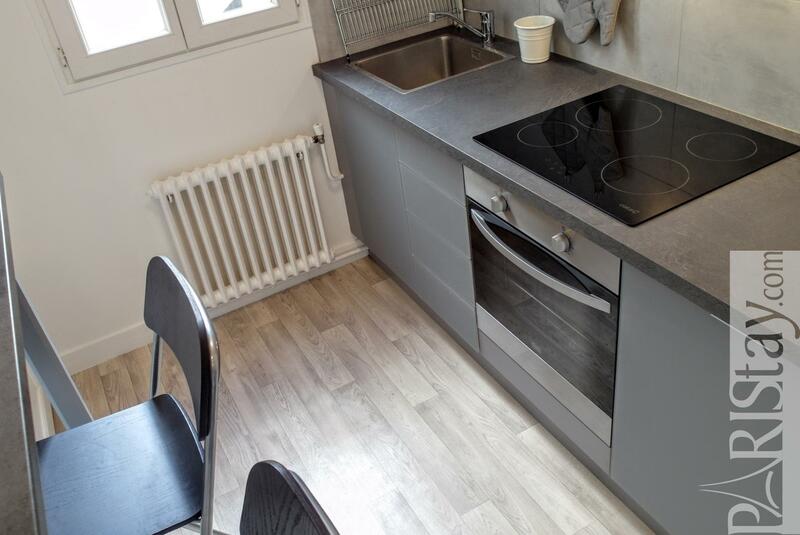 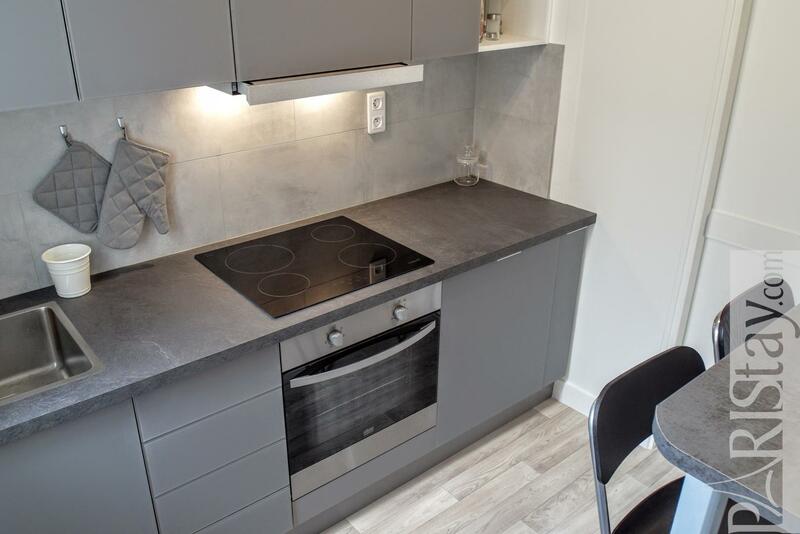 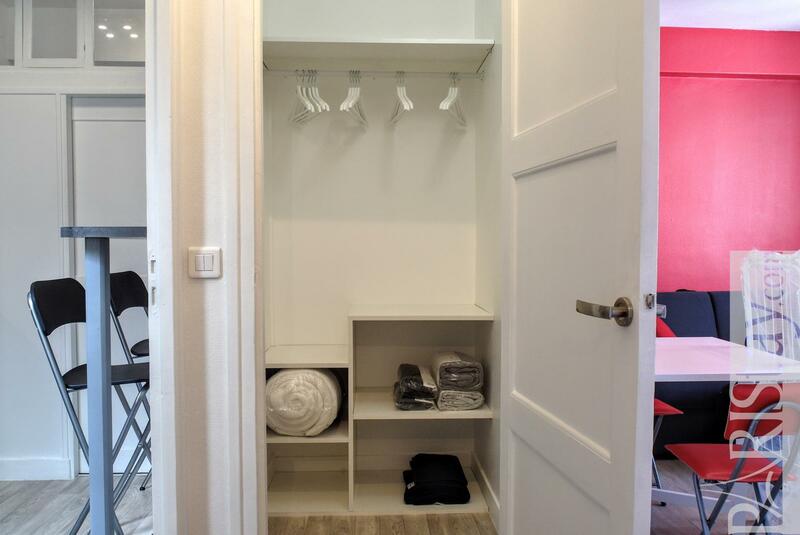 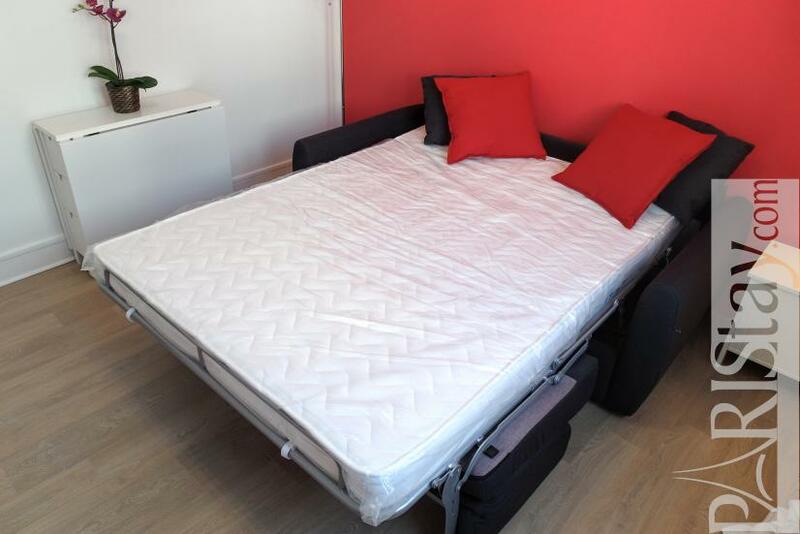 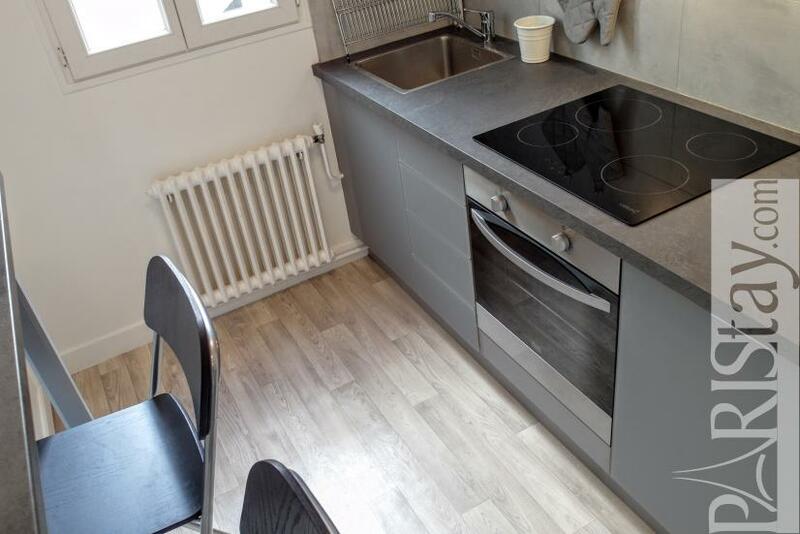 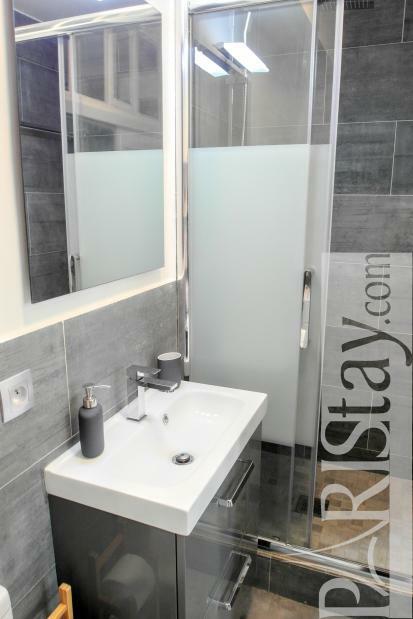 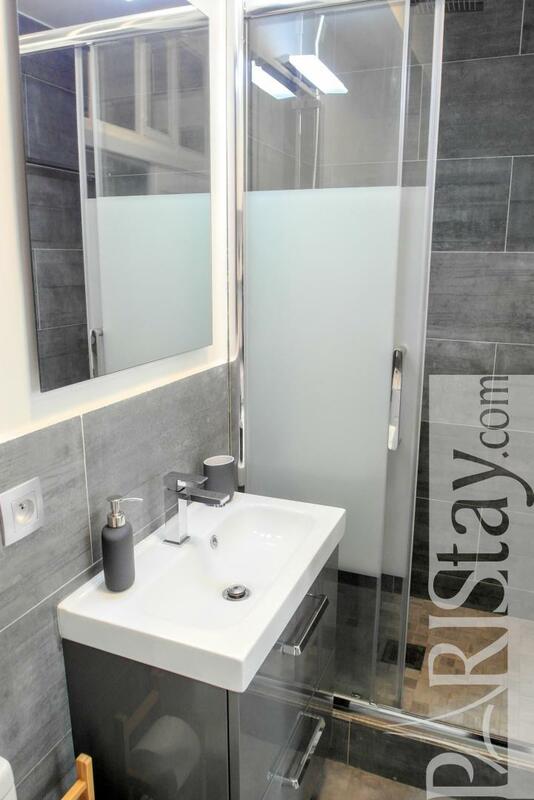 Here is a charming, bright and quiet Paris studio rental located in the 15th arrondissement close to Clinique Saint Félicité. 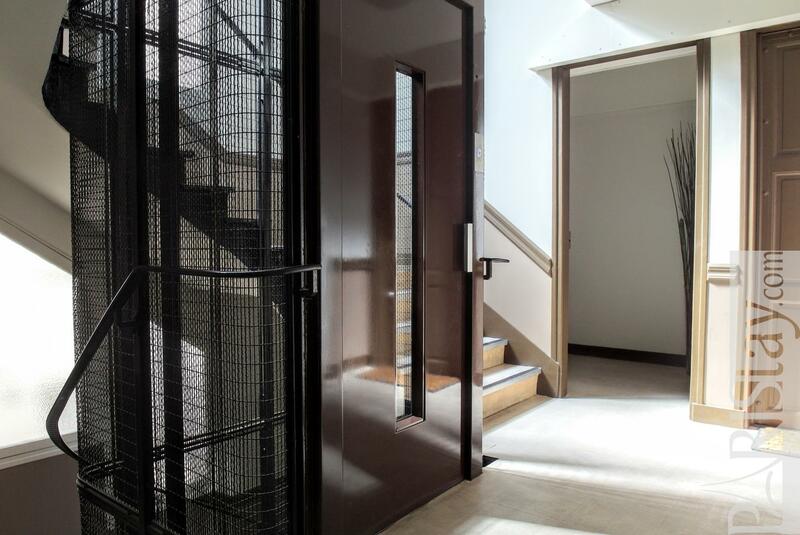 The apartment is situated on the 7th floor on courtyard of a cool residential building. 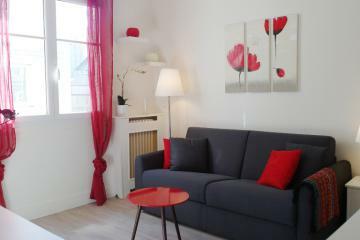 It has been totally renovated, tastefully decorated and fully furnished with quality equipment and furniture. 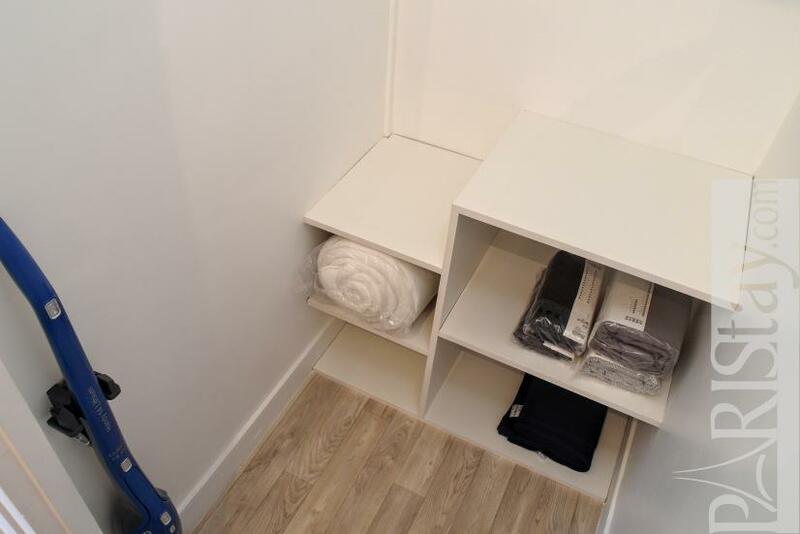 Unlimited internet acces, general heating and hot water, quality sofa bed, dining table for 4 people, Flat screen TV, oven, fridge, freezer, washing machine. 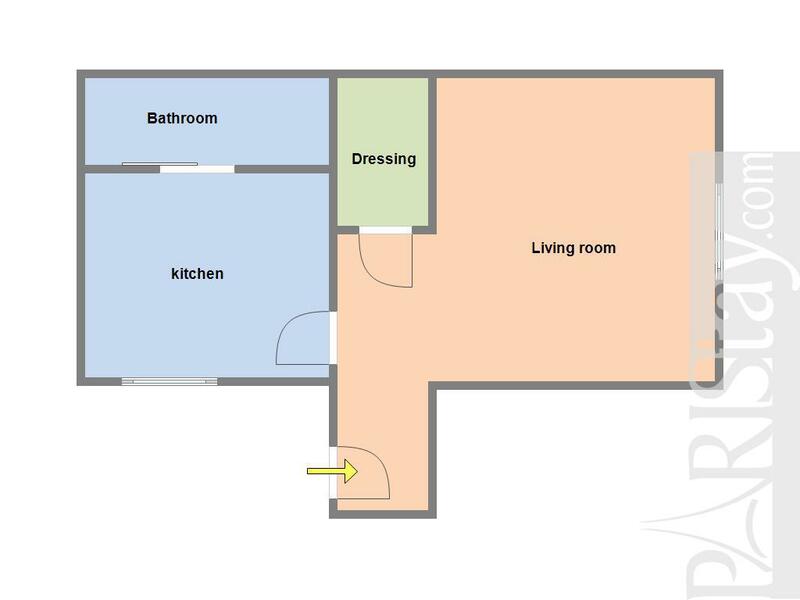 A cellar may be available if asked. 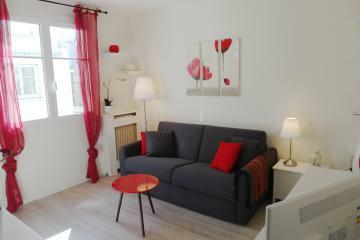 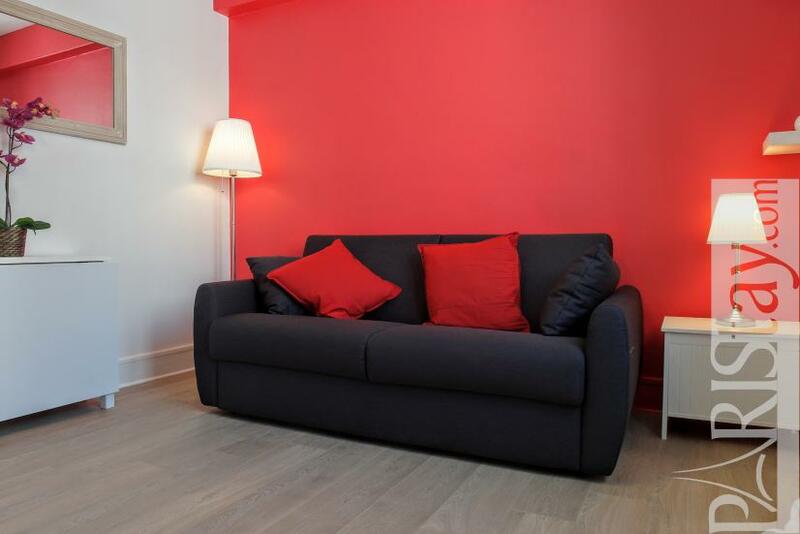 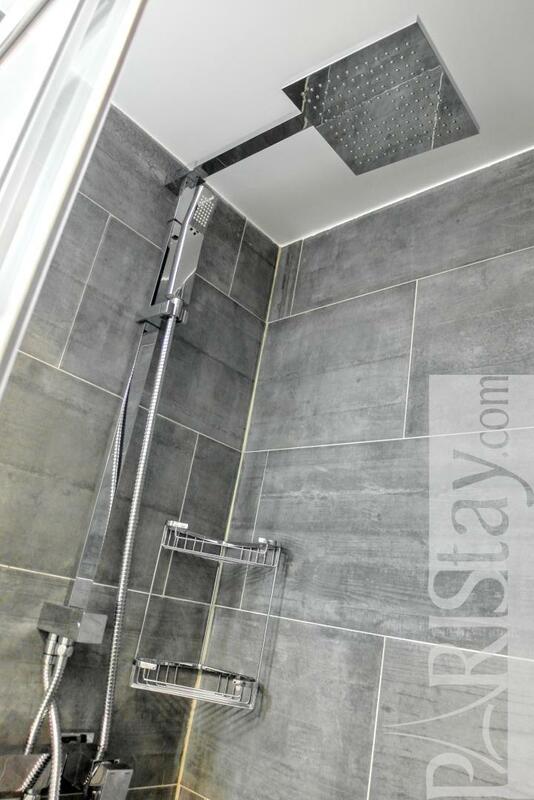 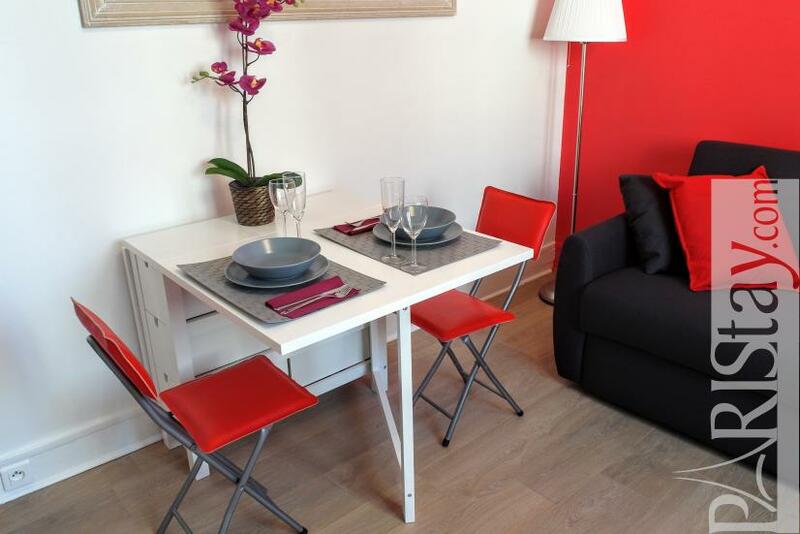 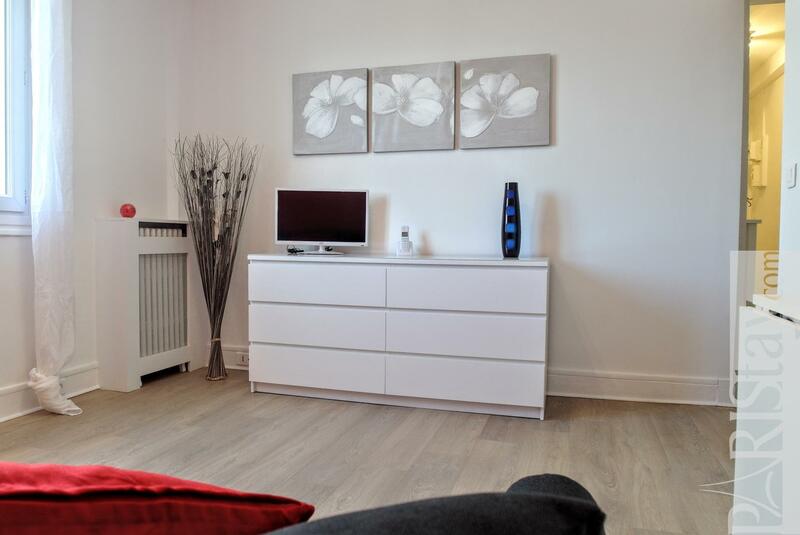 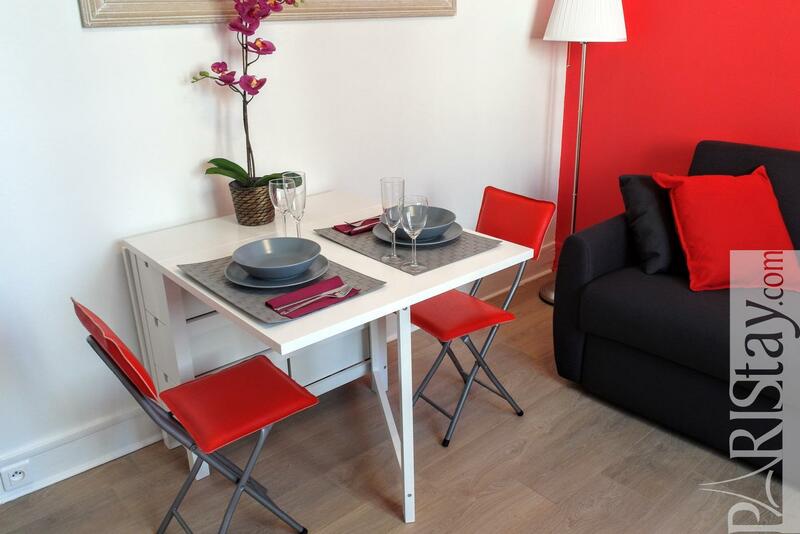 This apartment will be perfect for your next long stay rental in Paris. 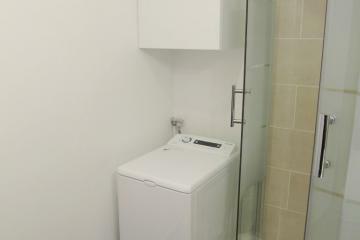 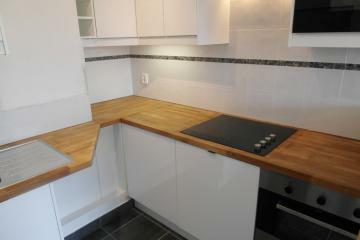 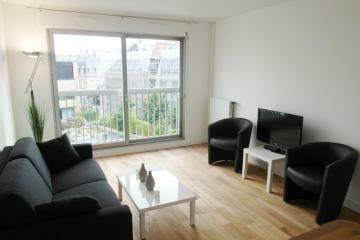 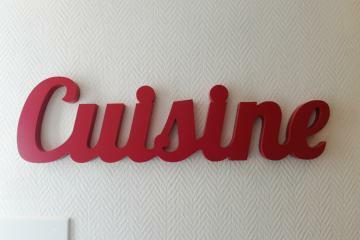 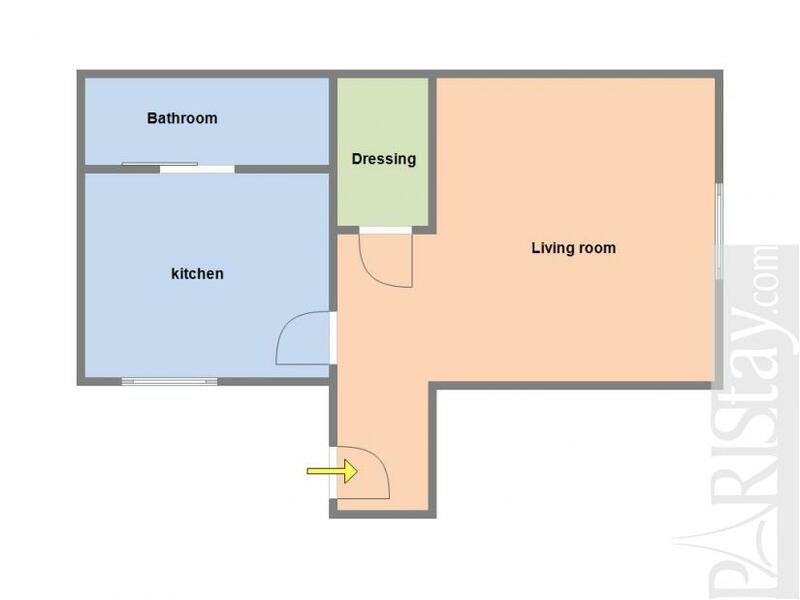 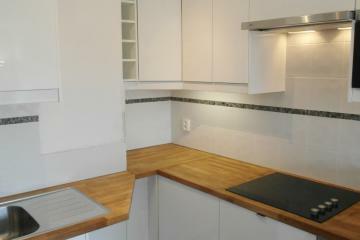 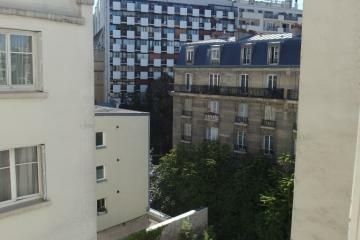 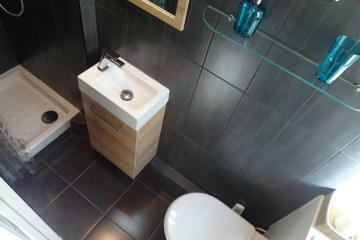 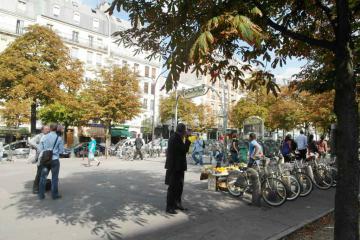 7 rd floor, with Lift, Studio Appartement, furnished, Approx: 25m² / 269 Sq.Ft.